Jazzy Razz, Lickety Split & Star Swirl the Bearded. 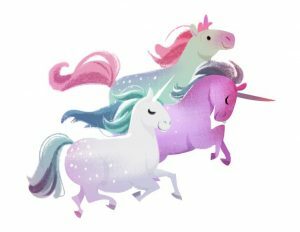 Deep within the Tencel Mountains, where flowers never sleep and the moonlight glistens across the forest floor, three legendary Unicorns dance. To this day no man, woman or child knows why, how or where they came from. Every 1,333 years this trio, known only by memory and drawings, show themselves beneath the moonlight only for a moment. Their long, white fur sparkles with every color under the sun. If you look carefully you can find evidence of their presence scattered about the moss covered trees. 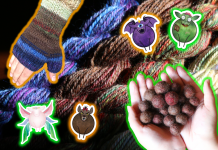 This month in our Fiber of the Month Club, we presented our members with the down of these three legendary creatures. 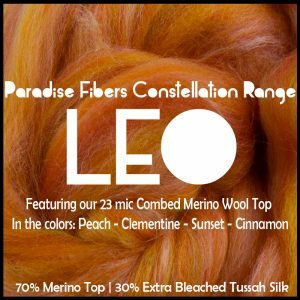 In this post I will talk about Drum Carders and show you how to make your own Unicorn Down and how to Spiral Ply this Magical, Sparkly down with our Merino/Silk Constellation Range Fiber. Not a Fiber of the Month Club Member? Sign up Today and join in on the fun! Members save 10% on all regularly priced Fiber! Angelina Glitz and Tencel blended on the Drum Carder. Okay I hate to be the bearer of bad news, as wonderful as it would be if these fantastic beasts really did prance about leaving behind their magical fur for us to spin, it is just not true. . . or is it? No matter! There exists a recipe to make this magical fiber that I am about to share with you! Figuratively speaking we really did find this fiber on ‘Tencel Mountain’ – as much of a stretch as that may be. ‘Unicorn Down’ is the fluffy undercoat of the Unicorns fur, made of Tencel Fiber (wood pulp) and Angelina Glitz. When blended together, the two create a tantalizing blend with magical properties! For those of you who don’t know already, Tencel Fiber is more absorbent than cotton, softer than silk, and cooler than linen! The production of this fiber itself is extremely eco friendly, due to the closed loop system. 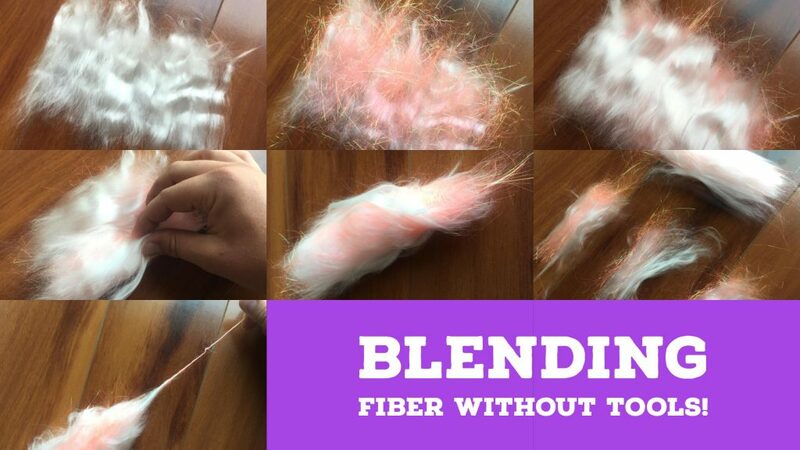 There are many ways to blend fibers together. 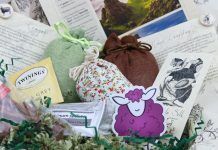 You can use a Blending Board, Hand Cards, Hackle and a Drum Carder to name a few. 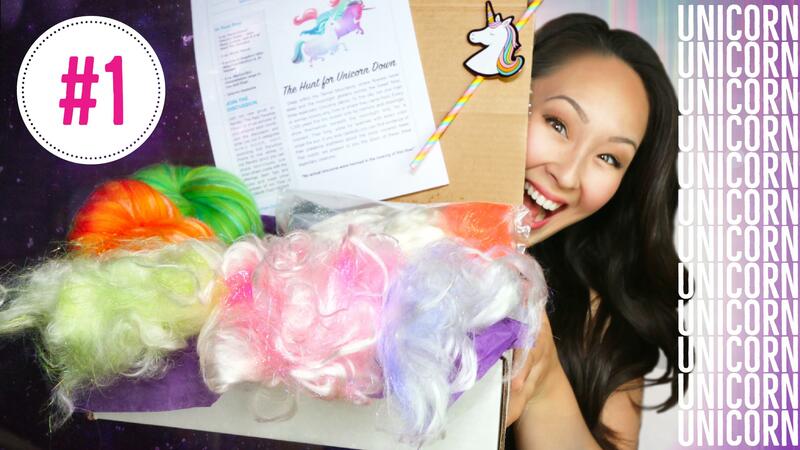 I am going to show you how we blended 15 lbs of Unicorn Down using a Drum Carder! I’ll also show you how you can blend your own Unicorn Down without using any tools at all! Click here to view another post where I talk about blending on a blending board with a recipe using our July Fiber of the Month Club offerings. A drum carder is arguably the simplest machine carder there is. Most drum carders are hand-cranked but some are powered by electric motor. A drum carder usually has two rollers, or drums, covered with carding cloth available in varying TPI (tines per square inch). The TPI number refers to the density of tines in a carding cloth. A low TPI means there is plenty of room between the tines to accommodate thicker fibers. A high TPI means there is little room between the tines to accommodate finer fibers. 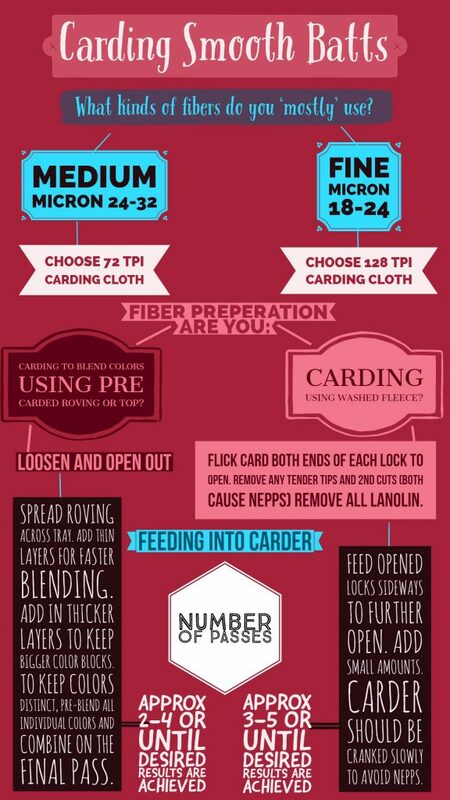 Match up your cloth with the micron count of the fiber you wish to process or blend. Fibers between 18-24 micron is ‘fine’, 24-32 micron fibers are ‘medium’ and 33+ micron fibers are ‘course’. The TPI in carding cloth typically ranges from ranges from 54-190. See the chart below to determine which TPI to use and how to prepare and card a smooth batt. The licker-in, or smaller roller meters fiber from the in-feed tray onto the larger storage drum. The two rollers are connected to each other by belt or chain-drive so that their relative speeds cause the storage drum to gently pull fibers from the licker-in. This pulling straightens the fibers and lays them between the wire tines of the storage drum’s card cloth. Fiber is added until the storage drum’s card cloth is full. Typically there is a gap in the card cloth of the storage drum that facilitates removal of the batt when the card cloth is full. Some drum carders like the Ashford Wild , have a soft-bristled brush attachment that presses the fiber into the storage drum. This attachment is a helpful feature that serves to condense the fibers already in the card cloth and adds a small amount of additional straightening to the condensed fiber. Drum carders are relatively expensive. If you plan to process large amounts of fiber, a drum carder is an excellent investment. 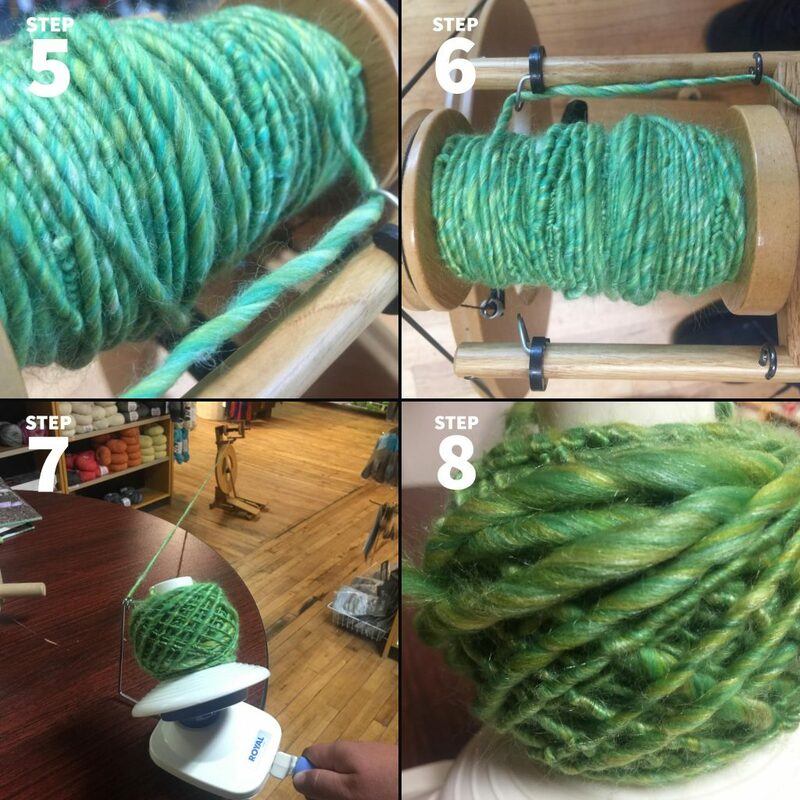 You can prepare more fiber at one time and make larger batts with a drum carder than you can with other methods of blending. If you are processing small amounts of fiber there is one technique you can do that is intended to blend fibers together. Pictured is ‘Deconstructed Unicorn Down’ which we sent our Club members this month to learn a bit about blending fibers. 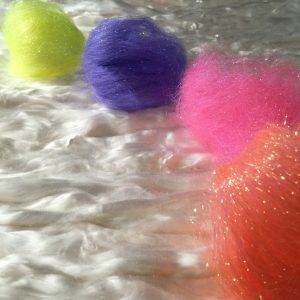 The method I am going to show you is ideal for mixing different colors of fiber, adding in effect fibers, or slightly mixing fibers together without the use of tools/equipment. Step 1: Draft out pieces of your fiber and lay the staples out on a flat, smooth surface in a row. Step 3: Add another row of the first fiber you chose to make a sandwich or continue adding different fibers. Step 4: When you are happy with the variety of fibers, roll the fibers toward one side to make a Rolag. Step 5: Draft the fibers out of your Rolag and make another row of fiber. Repeat this until all of the fiber from your Rolag is stacked on top of each other. Step 6: Roll the fiber from one side to make a more blended Rolag. Repeat these steps if you wish to blend the fibers further. Step 7: You now have a blended center pull Rolag ready to draft into roving or spin as is! 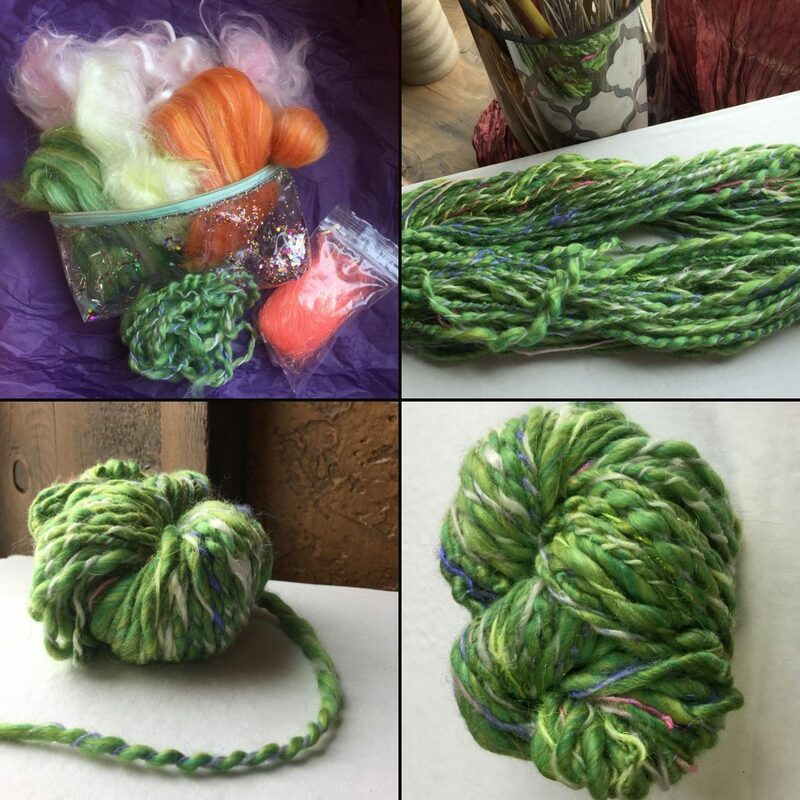 Achieving a truly balanced spiral plied yarn is tough, you can use commercially spun lace weight yarn to ply your chunky hand spun onto or spin your own lace weight because it’s much more fun! A spiral yarn is made by holding one yarn (the core) under tension while leaving the spiral ply (the wrapper) untensioned and guiding it as it wraps onto the core at an angle of between 45 to 90 degrees. 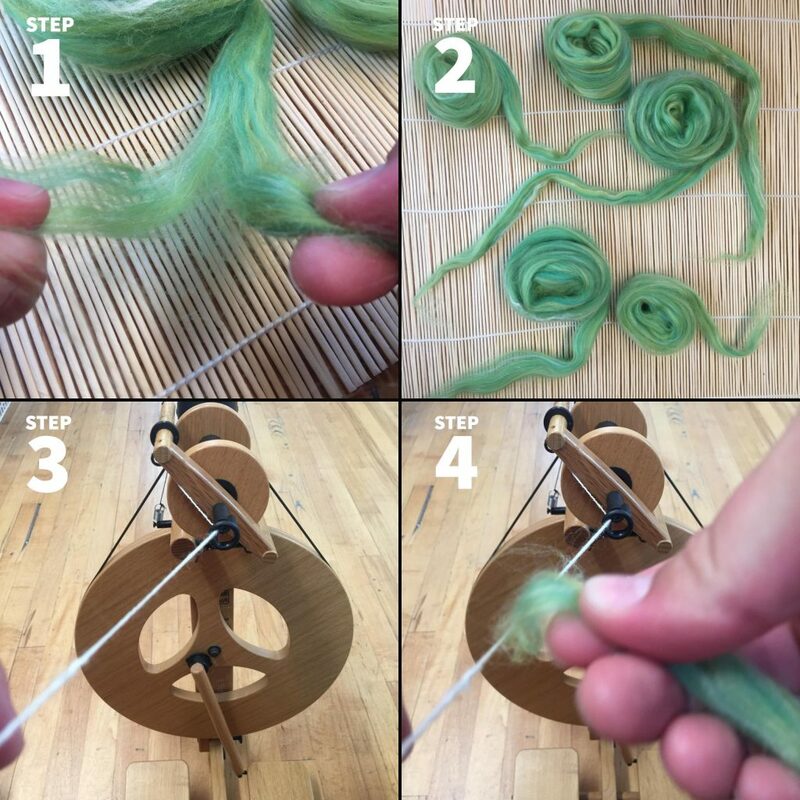 This simple plying method is the basis of spiral yarn, coils, tornadoes and more complex boucles. Assuming you already know how to spin both fine, smooth singles and thick and thin singles let’s get started! Step 1 & 2: Split and pre-draft your roving to make thinner pencil type rovings. 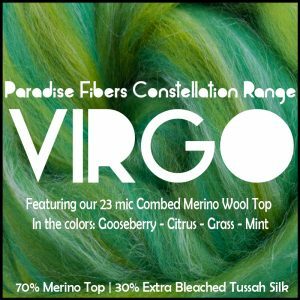 I chose to spin VIRGO constellation range first, a delicious Multi Merino/Tussah Silk blend. I was able to make 5 little bumps out of the included 2 oz. of fiber, each varying in thickness since I will be spinning this thick and thin. Step 3 & 4: Attach a leader to your wheel so you can begin spinning! I’m using a louet Victoria for this tutorial with merino wool yarn for my leader as the fiber attaches nicely to this. Grab your first bump of pre drafted fiber, latch on and start treadling! Step 5 & 6: Draft your yarn thick in some spots and thin in others, in no particular order until you’ve used up all your pre drafted bumps. Don’t worry about adding too much twist as the energy will even out later I’ve found. Step 7 & 8: Attach the end of your yarn to a ball winder and wind the yarn off your bobbin and onto the ball winder. I set the wheel about 10 feet away from the ball winder to help distribute the twist. Use a cardboard core or a rolled up thick piece of paper and insert it into the middle of your wound ball with the center strand out. This keeps your yarn ball from collapsing and we will use the center strand later to make plying easier. Set this yarn ball aside and move on. Step 13: Attach your spun Unicorn Down to the ball winder like we did previously and make a center pull yarn ball. Step 14: Now you have two spun Singles, one thick/thin and one thin, ready to ply together! Notice I used rolled card stock paper to prevent my yarn balls from collapsing. 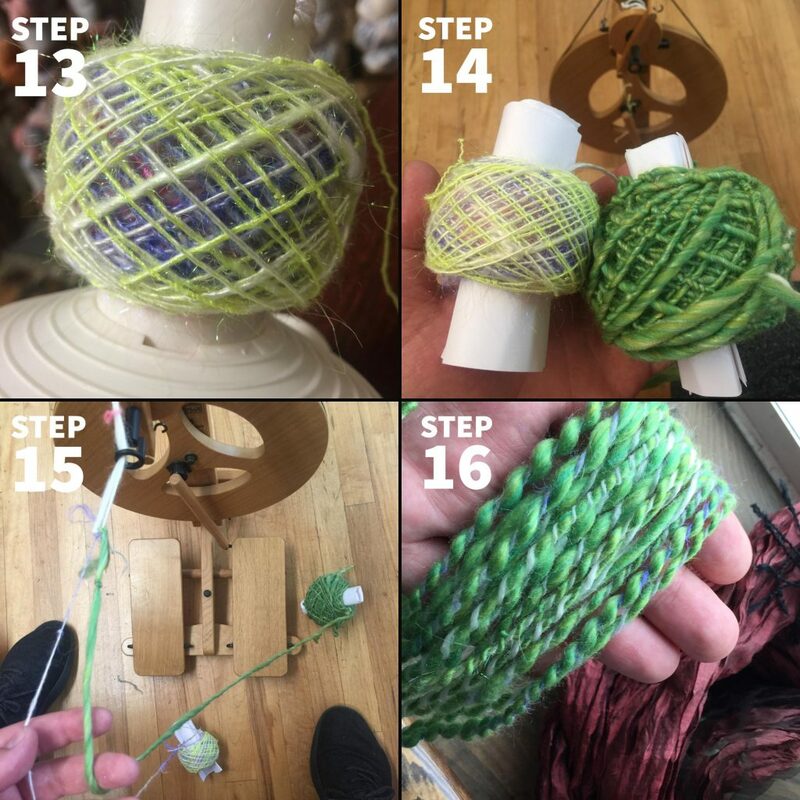 Step 15: Attach both center strands of yarn to your leader. This is where it helps to have an extra person holding your yarn balls so they don’t get tangled. Or even a lazy kate with each yarn spun on a bobbin. 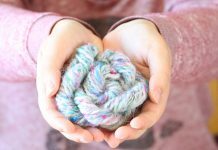 Holding your thin single straight towards your chest and the thick/thin single stretched out to your right at an angle, spin in the opposite direction as the twist on your yarns. Feed the yarn into the wheel keeping your thin single straight and spiral feeding your thick/thin single towards your thin single allowing it to wrap in a spiral manner. The result of holding your two strands like this at an angle using one thick and one thin creates a beautiful spiral yarn! Step 16: TADA! 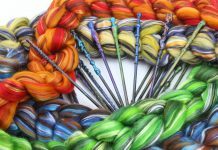 Spiral Plied Unicorn Yarn! I assure you, It’s much harder than it looks. But the achieved yarn is very rewarding! 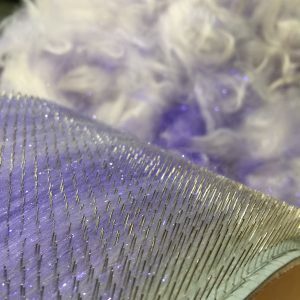 Do this same technique with the Orange Leo Fiber or mix them all together to make your own creation! It’s important to have your core yarn and your wrapper yarn sitting on either side of you while plying. Use a lazy Kate and Bobbins for this or use a friend! If you want your core to show more, feed your wrapper yarn at less than a 90 degree angle. Hold the wrapper at the thin point with your dominate hand while rolling it onto the core allowing the twist to distribute evenly throughout the thick and thin areas. This creates an even well defined spiral. Pinch your yarn at the thin spot so you don’t mess with the twist at the thick spot and then wind onto bobbin. If you don’t add enough twist to the singles, as you increase the spiral ply, the core single loses more and more twist as it takes more twists per inch to wrap the spiral ply, eventually coming apart. Introducing more twist in your single core and wrapper yarn will make spiral plying smoother. It all evens out in the end. This was my first time Spiral Plying and spinning Unicorn down. 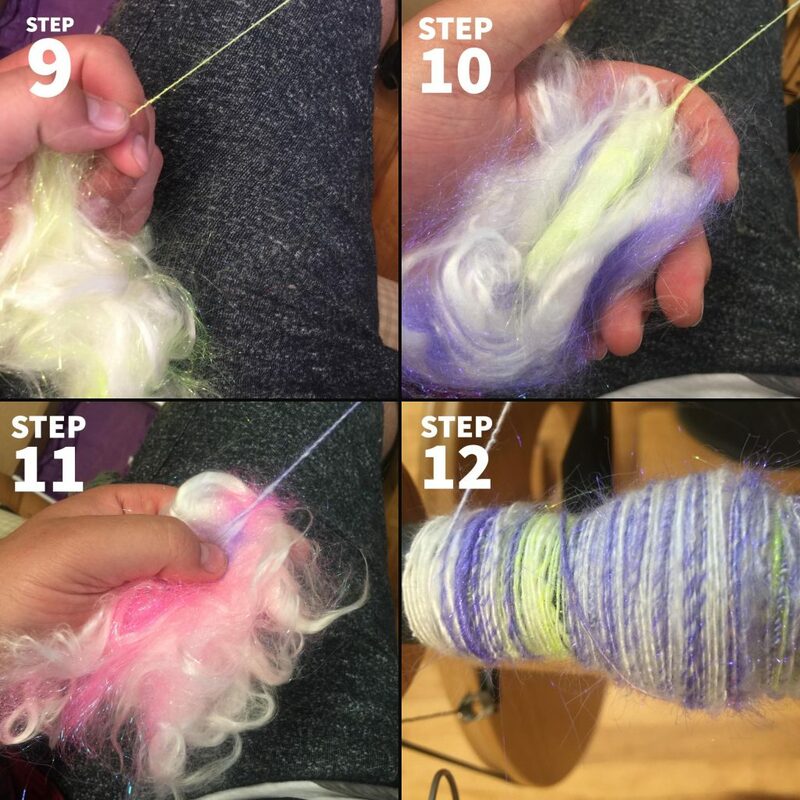 If you’d like to spin some Unicorn Down or receive tutorials and interesting fibers each month like this, sign up for our Fiber Of the Month Club today! I’ll admit, Spiral Spinning is tricky and not for the everyone. I’m happy with how my yarn turned out and I plan to give Spiral Spinning another go in the future! Now you know, Unicorn Down Exists and our Fiber Club Members were the first to get their hands on it. 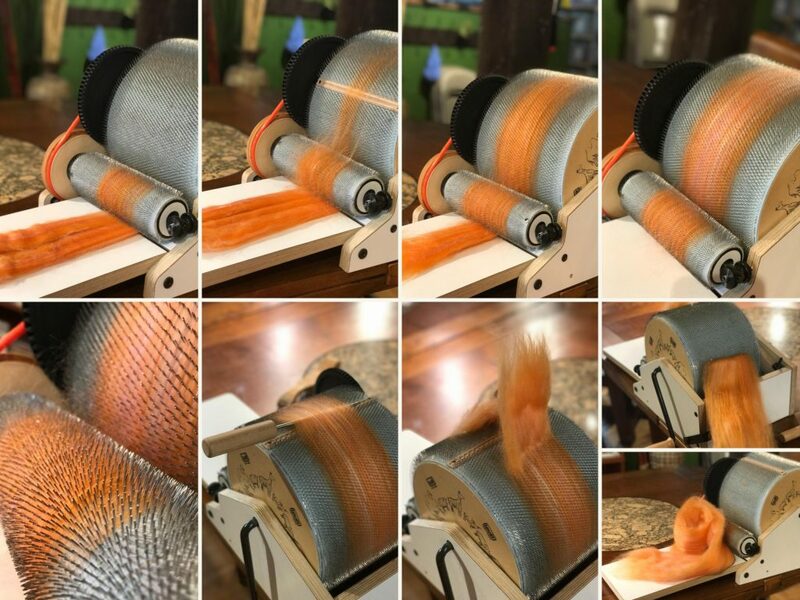 I hope this post sheds some light on Drum Carding and Spiral Spinning. Whats your favorite way to blend fiber and Ply Yarn? Share in the comments section below! 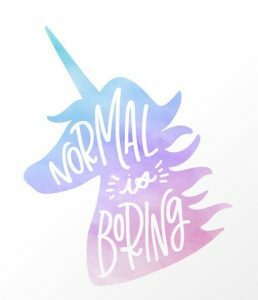 Share this post with your Unicorn Crazy Friends and Fiber Fanatics! 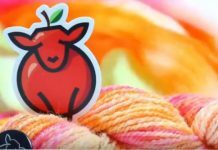 Don’t forget to join the Unicorn discussion in our Ravelry group! Happy Spinning! 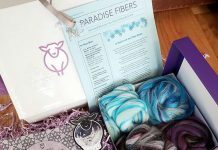 Previous articleEver Wondered What People do with Fiber of the Month Club? You’ll be Amazed!